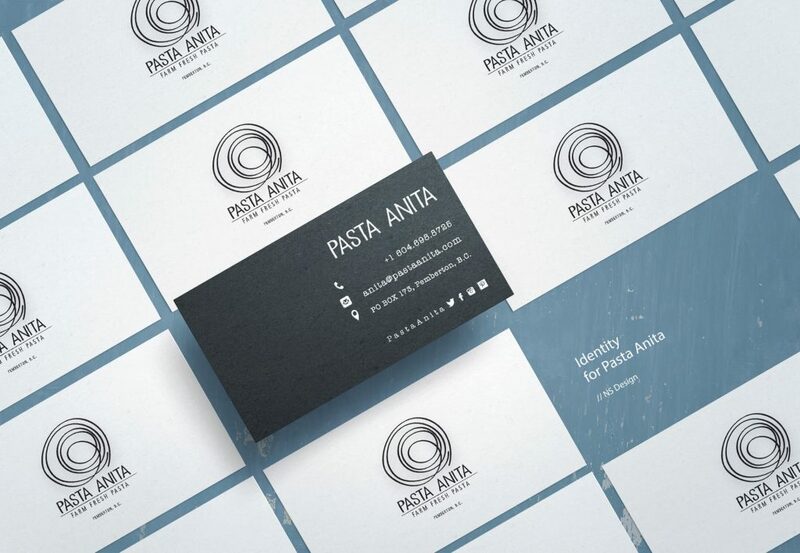 The client, an artisanal pasta maker, was in need of a logo for her new business. I wanted to create a fun logo and identity to help launch her into the world of farmers markets and catering dinner parties. It was easy to find inspiration for this logo from the product itself. Anita whipped up a batch of fresh noodles and we made pasta nests, had a mini-photo shoot, and ended up basing the logo off one of the pasta nests we photographed! We added a second logo and business card to round out the branding collateral. Working with small and local businesses is so rewarding. I firmly believe in community over competition and want to do my part to support other hard-working business owners out there!